Ping has strengthened its already significant role in the Solheim Cup following the announcement that has become the biennial event’s official apparel supplier for the 2019 renewal, which is being held at Gleneagles in Scotland. Ping will provide all volunteers, staff and officials with clothing and uniforms across the event and will sponsor and exclusively supply product to the Ping Golf Zone in the spectator village. 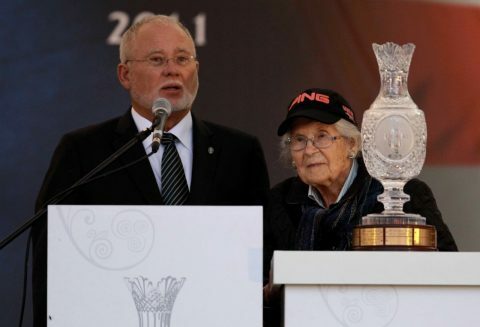 Karsten Solheim, founder of Ping, created the Solheim Cup with his wife Louise, with the inaugural event taking place between Europe and America’s best players at Lake Nona Golf club in Florida in 1990. Karsten died in 2000 at the age of 88, while last year’s Solheim Cup at Des Moines Golf and Country Club, was the first played since Louise passed away earlier in the year at 99. Eight-time Solheim Cup player Catriona Matthew is the European captain. The matches take place at Gleneagles in Scotland, from September 13-15, 2019.